Nowadays, dark hair may not get quite as much love as rainbow shades and super-dramatic red hair ones. Have you ever hear that black cherry hair color. This soda-inspired hair color is anything but boring. The deep burgundy hue has the slightest cherry red tints that really make hair pop. Want to try it yourself? 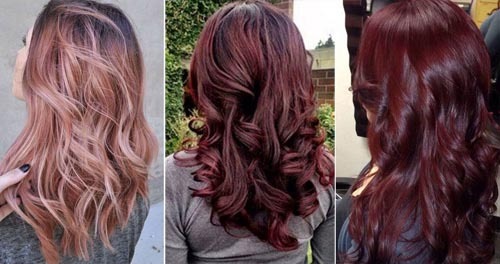 Keep reading to learn all about black cherry hair color with Layla Hair. What is black cherry hair color? 1 What is black cherry hair color? Layla Hair sharing ideas for dying your hair. 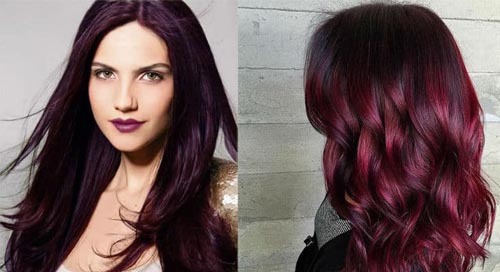 Black cherry is a gorgeous idea to embrace the fall or winter, it’s a cool way to make a statement for those who don’t want usual dark brown or black but who are looking for a new idea. You can rock such hair with pale and dark complexion, with blue and brown eyes. So don’t hesitate to find your own cool shade. Moreover, black cherry hair color has several shades: mahogany, deep red, brownish and other shades. Black cherry will look cool and chic both on long and short hair, on curly and straight hair. Wanna make a bold statement? Choose deep red and mahogany colors. Want something smoother? Opt for brownish shades, they look much more natural. Besides, Black cherry is very popular for highlights and for ombre hair ideas. The usual thing is very dark or even black hair with black cherry highlights, it looks bold and rock-styled. You can also try ombre hair from black to black cherry hair. Another idea is black cherry ombre hair to pink and red, looks very colorful and unique, it’s a great idea for a grunge look. Dark brown hair can be mixed with black cherry highlights and lowlights, it looks calmer than with black. Get inspired by these colorful ideas! A specific hair color that is a mostly dark brown but with a reddish tint. Chocolate cherry hair color hair can be a high contrast affair with a lot of texture and gloss. If you are looking for a low maintenance, high impact human hair color. This is the amazing inspiration for brown hair with red highlights picture to bring to your hairdresser. Maybe the colors will fade but the roots will grow gracefully, so if you are not into monthly retouches this hair color will suit you perfectly. Layla Hair loves this brown hair with cherry color because that limited the use of lightning and bleach to create a subtle cherry red on natural brown hair. It’s the perfect choice if you just want to dip your toes in the red trend, but don’t want to damage your hair or go too light. The result is an awesome red highlight in brown hair. It is rich and low maintenance. In addition, This color hair or black cherry hair color will bleach your hair, but the results are so beautiful! It’s a traditional technique with an unconventional twist that will suit hair that is naturally dark, or anybody wanted to give a previous blonde balayage a new look. Face-framing red highlights draw attention to your best features and add volume to the hair visually. One hair color that has gained quite a bit of popularity in the past few months is the black cherry color. 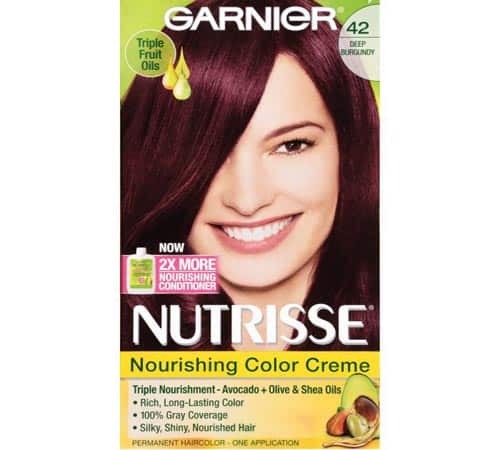 This has led to the need of finding the best dye for black cherry hair color. 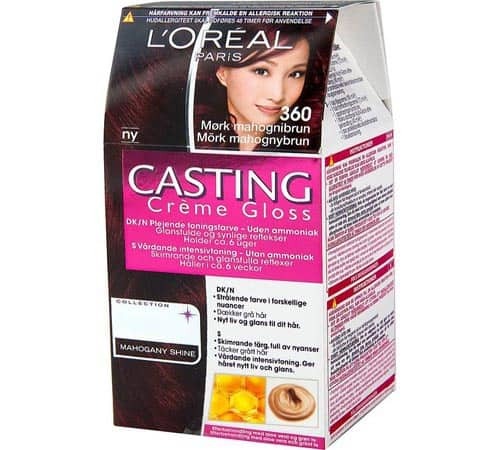 The first one on the list is the black cherry hair color by L’oreal which is ammonia-free. It provides excellent gray coverage and gives hair a glossy shine. Furthermore, it provides visible shimmering tones and a natural-looking color to your hair. Since it doesn’t contain any ammonia, you won’t have to worry about it damaging your hair quality. For regular hair coloring needs, this is the ideal choice! This black cherry hair color is a rich and glossy one. The no-ammonia formula blends the grey away and you are left with a rich natural-looking red color. 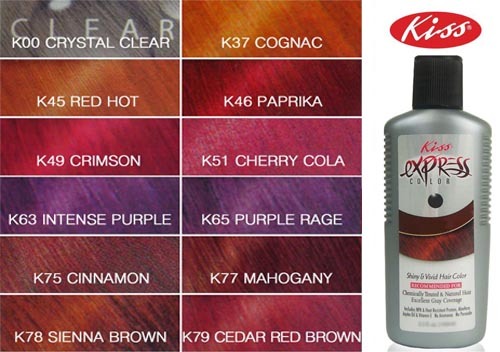 Secondly, the Kiss Express hair color provides great visual enhancement to your hair. The formula of this hair color is quite gentle and can be used after a relaxer as well. It can be safely used to enhance the tone of your hair color. It also helps to blend into the gray hairs easily. This hair color contains heat-resistant protein and NPA. Both of these work to protect hair from breakage. It also doesn’t contain any peroxide or ammonia, making it completely safe for your hair. With this hair color, you can get vivid and shiny locks. Moreover, the fruit oil concentrate goes deep into the hair and conditions and nourishes it. As a result, your hair takes the color better and is able to hold it for a longer time from the root to the tip. The after-color conditioner is also rich in shea, olive, and avocado oil. These three oils lock in the moisture and protect your hair against dryness. As a result, hair stays silky soft and the color stays radiant. Not only is this hair color easy to use, it has a non-drip formula too. Plus, it smells great and is safe for your hair. In general, black cherry color refers to the darkest shade of red. The black cherry hair color contains both red tones and dark brown tones. People often confuse the red tone with a purplish red. However, the red tone in this hair color is a true red color. When compared to the chocolate cherry hair color, black cherry has a darker brown base. After reading all of the above information, Layla believes that you deep understand about black cherry hair color. If you have any questions or comments, please comment below, we will answer you and give you pieces of advice! See you!